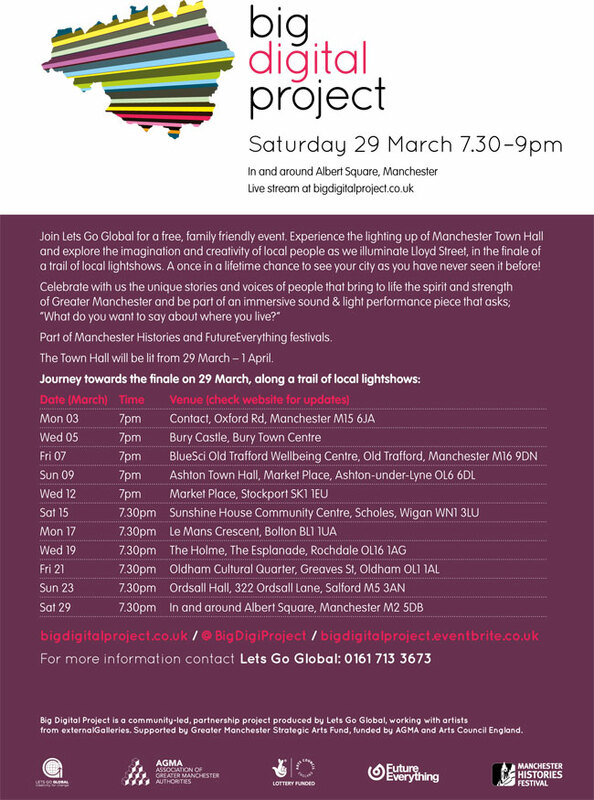 If you’re around Rochdale town centre tomorrow evening, Wednesday 19 March, between 7.30pm and 8.30pm do stop by The Holme (police station/former courts) on the Esplanade to check out the Big Digital Project: Rochdale being projected on the buildings. A Level Art students from Rochdale Sixth Form College have been working with externalGalleries and local artist Vincent James to create a live light show on the theme of ‘Faces & Places’ of Rochdale borough. Following on from last year’s success of Dance Meets Sport, Spiral Dance and Oulder Hill Community School are working in partnership once again to deliver a dance platform in Rochdale. Last year was the first year that the school and charity joined forces, and they delivered a spectacular event in which twelve groups performed choreography created around an Olympic Theme. 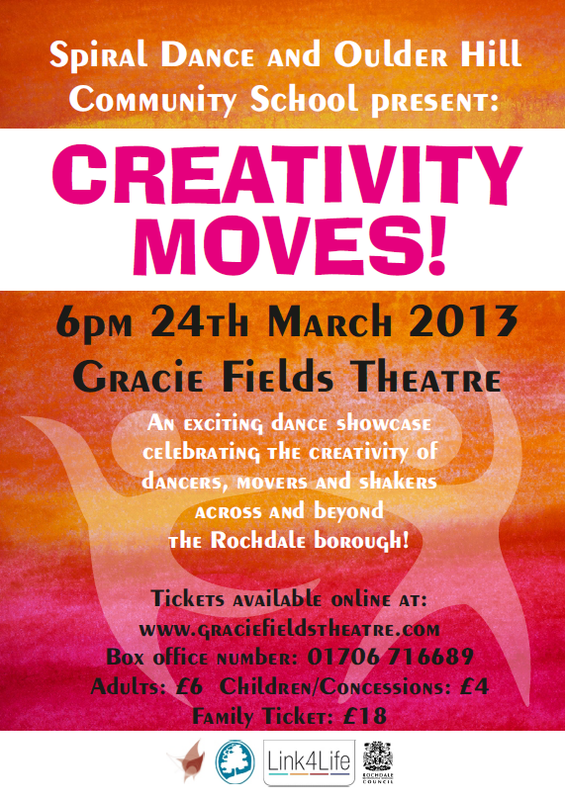 Following on from this success, they are presenting an evening of dance on the 24th March at Gracie Fields Theatre called CREATIVITY MOVES! The showcase celebrates the diversity of dance by exhibiting a variety of dance styles and themes. 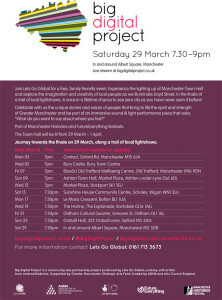 It aims to include all ages and abilities to explore who can dance, why people dance and what dance is. 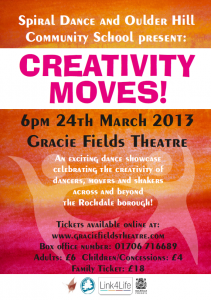 This year fourteen groups from across the boroughs of Rochdale, Bury and Oldham, are coming together to present dances based around the theme creativity and colour. Spiral Dance have received some fantastic applications from dance groups of all ages, and the showcase sounds like it will make you smile and tap your toes along to the music. Tickets can be purchased from the Gracie Fields Theatre Box Office: 01706 716689.